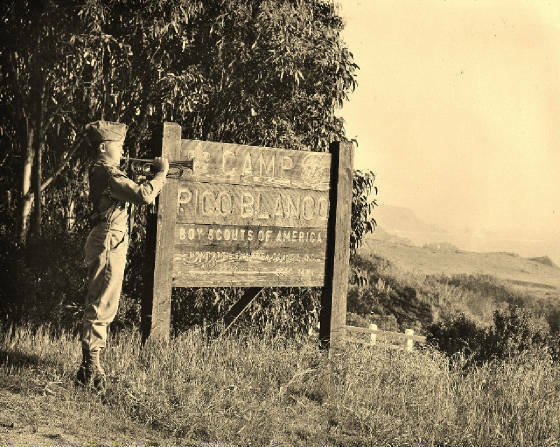 Pico Blanco Scout Reservation has three camps on the property. 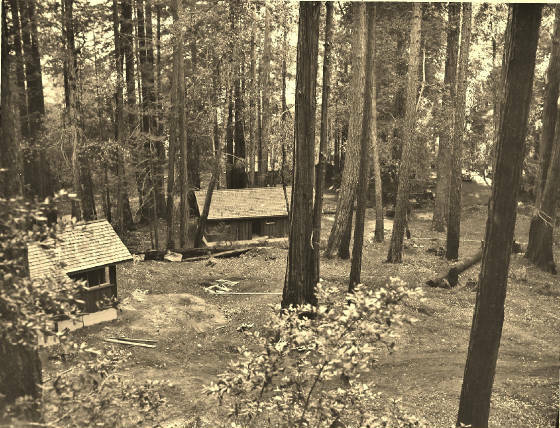 Camp Pico Blanco, Pioneer Camp and Fish Camp. 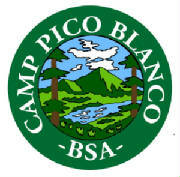 On January 1, 2013 Pico Blanco Scout Reservation became part of the new Silicon Valley Monterey Bay Council as a result of the merger of the Monterey Bay Area Council and Santa Clara County Council. "Men in the Making" was written by Alfred Young, the first Scout Executive of the Monterey Bay Area Council from April 1933 to September 1961. 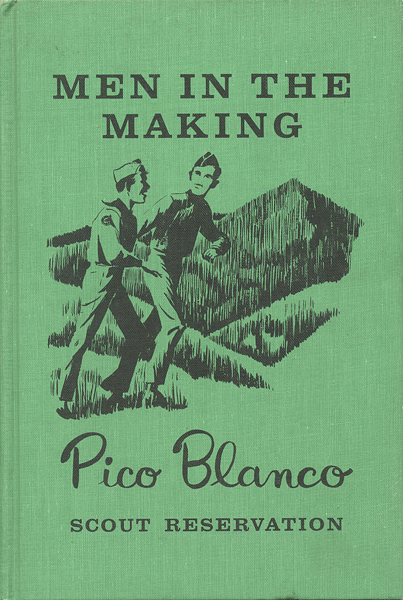 The book covers the history of the developement of Pico Blanco Reservation and was published in July 1963.
click here to download "Men in the Making"
Pico Blanco Scout Reservation is located in the Big Sur Coast area of Central California, just 12 miles south of Carmel off Highway 1 and inland 14 miles on Palo Colorado Road. The reservation is situated on over 800 acres along the North Fork of the Little Sur River and is surrounded by the Los Padres National Forest and bordered by the Ventana Wilderness area. 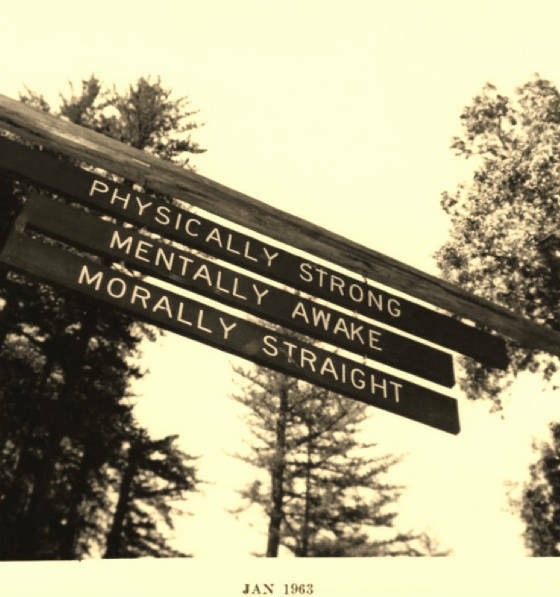 The reservation property was purchased in 1948 from the William Randolph Hearst Family and opened in 1954. The building to the left is the showers on staff hill. Down the hill in the center is the health lodge before the doctors add on. It's hard to see but beyond the health lodge in the trees you can see the trading post/QM. Looks like they are just finishing the construction so that would date the picture in 1953 or early 1954. 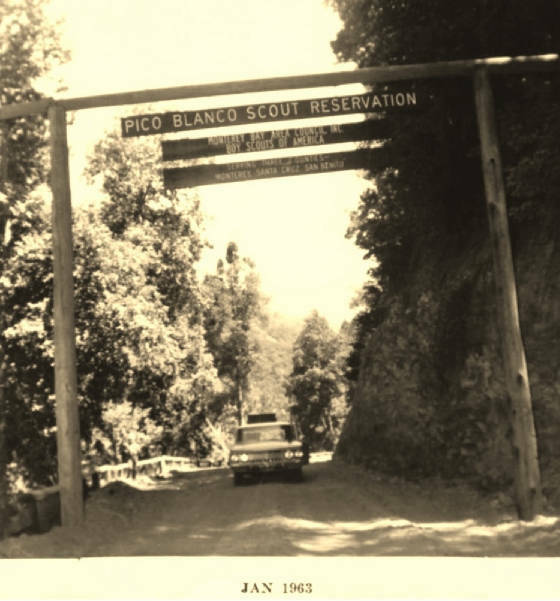 This website is for collecting and displaying history of Camp Pico Blanco, Camp Esselen, Camp Wing and Camp Totocano.